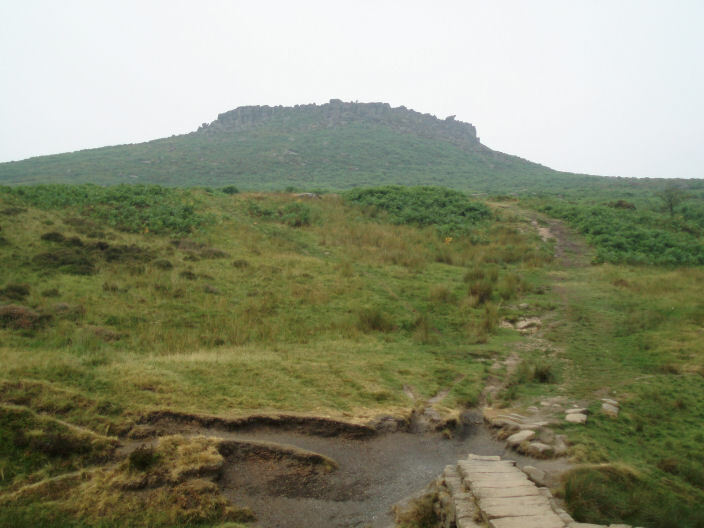 This wasn't the walk I had planned for Carl Wark but as the moors and access land have been closed due to the risk of fire it meant that only the public footpaths were open so it was a shorter walk than originally intended. 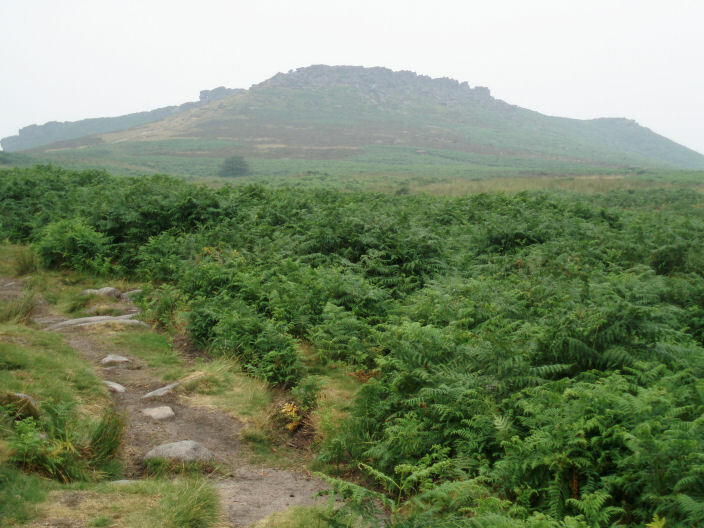 It had rained overnight and when I arrived the cloud hadn't lifted, but shortly after I started walking the sun started to come through the cloud and so I deliberately slowed my pace in order to give it chance to burn some of the cloud away. 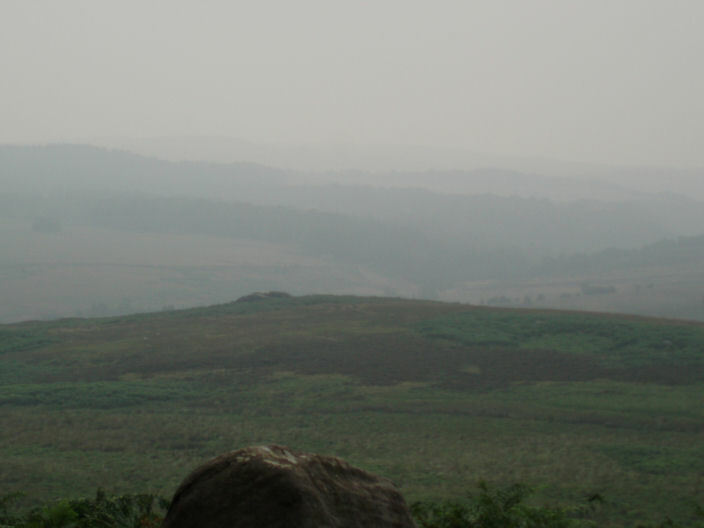 Weather: Misty but hot and very humid. 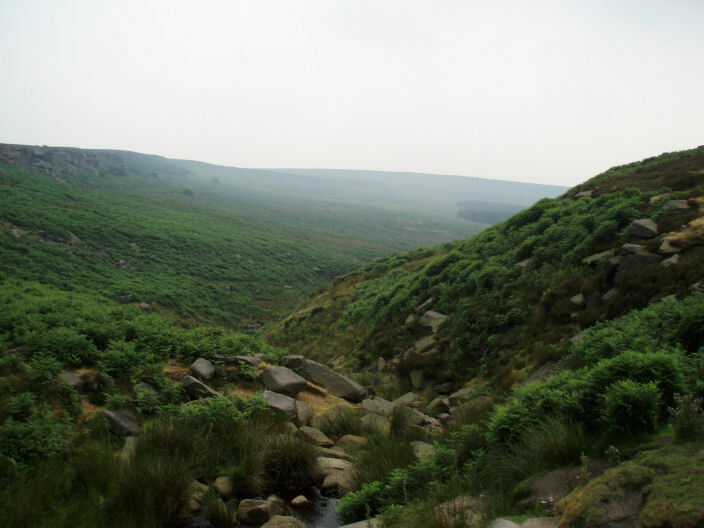 The mist is low in the valley which Burbage Brook runs through. 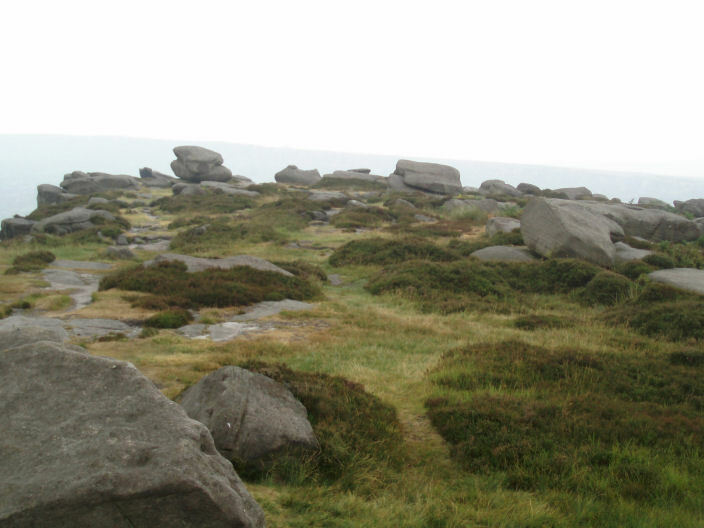 Higger Tor (front) and Carl Wark (back) are just visible on the right through the mist. 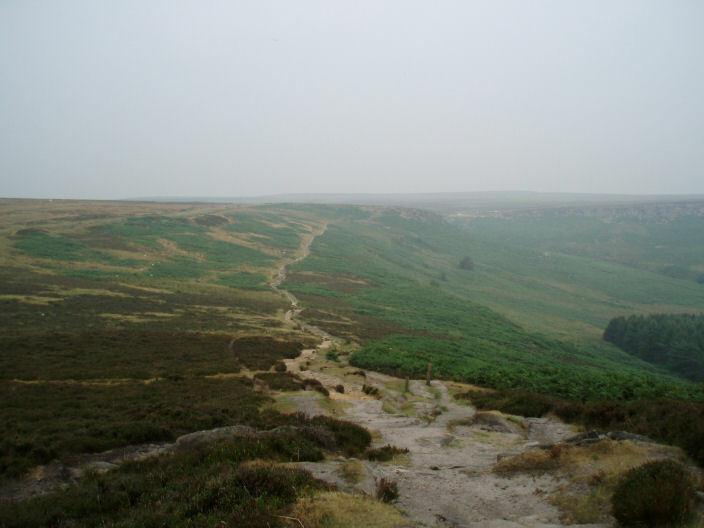 The path above Burbage Rocks, there is also one below the rocks which is visible here. 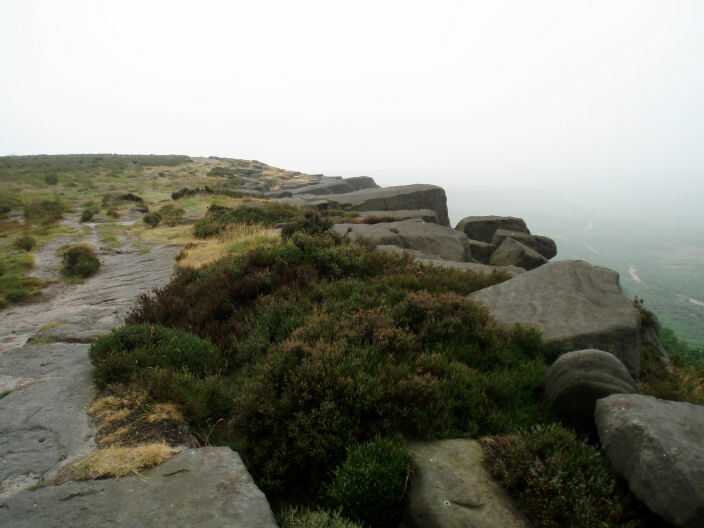 Carl Wark as the mist starts to lift. 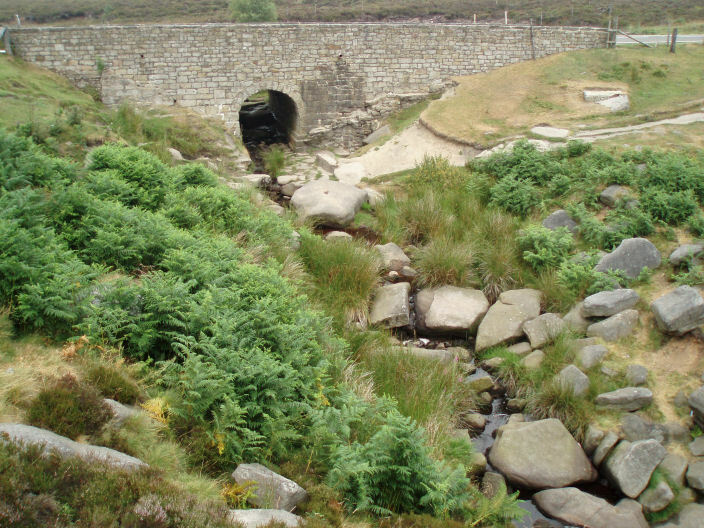 Burbage Brook, below Carl Wark. 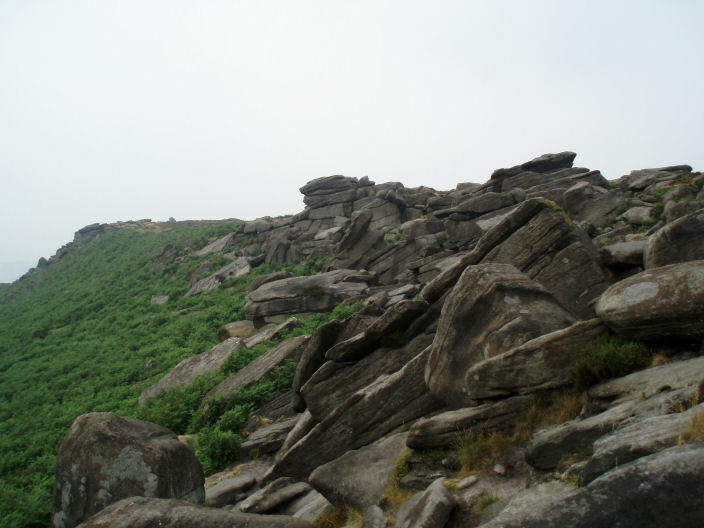 Higger Tor which stands higher than Carl Wark. 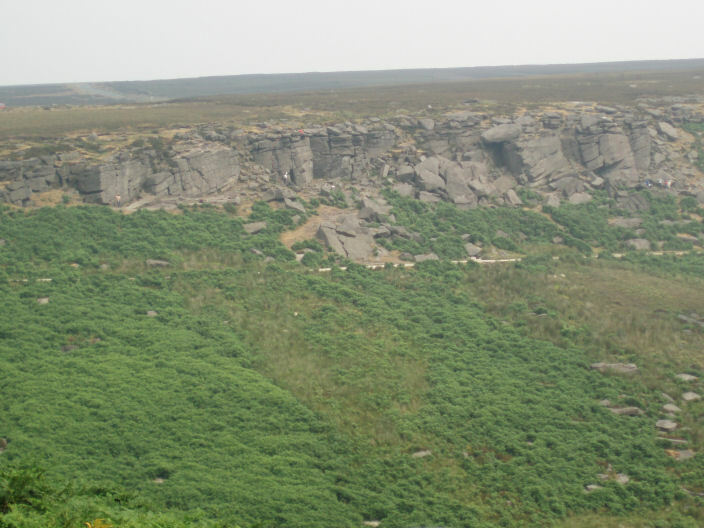 The clearly man-made wall on Carl Wark. 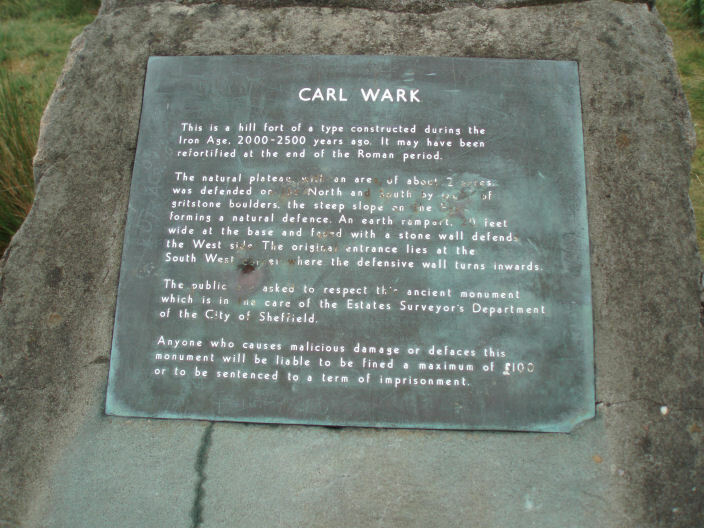 A little bit of information about Carl Wark. 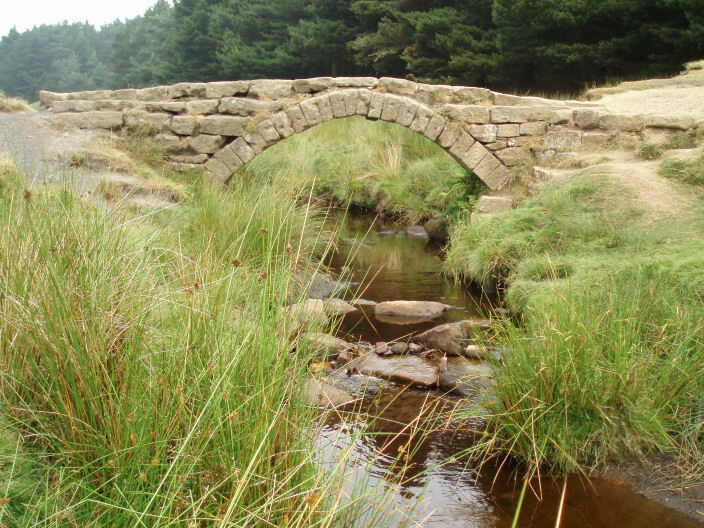 along with Froggart and White Edges. and it's an easy walk. 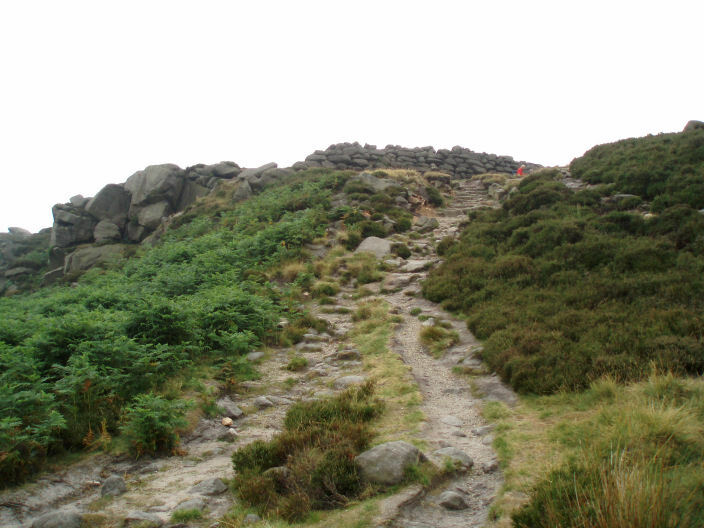 After the two scrambles on the way to Scafell last week I opted for straight up. 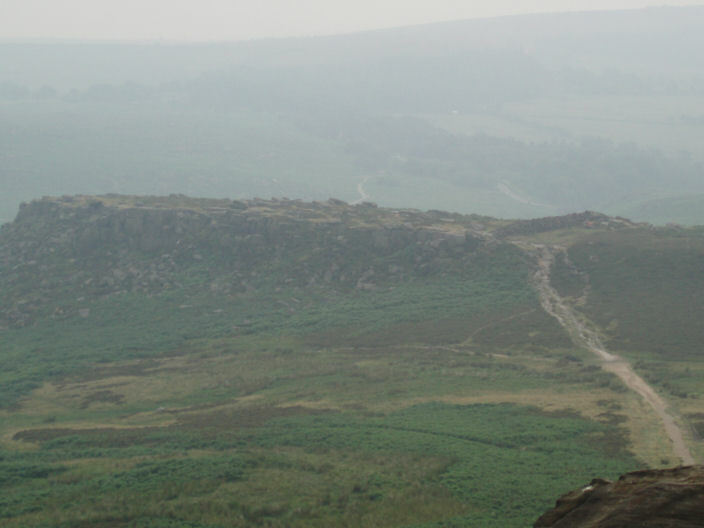 Looking back at Carl Wark from Higger Tor. 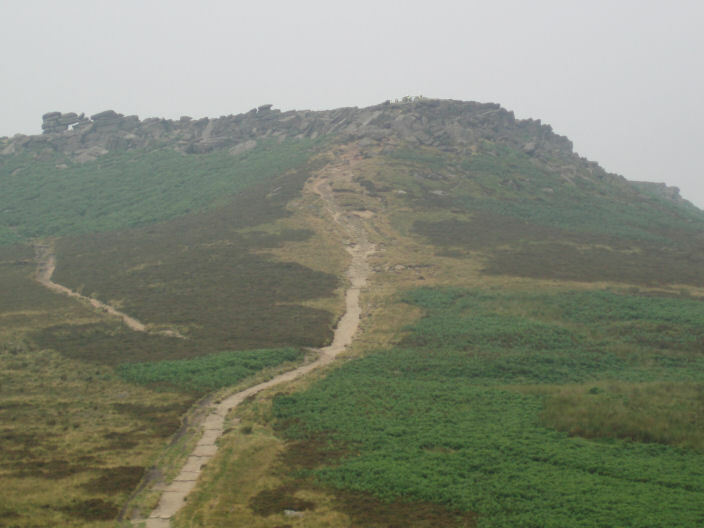 The path from Higger Tor to Upper Burbage Bridge, a lot drier than when I was last up here. 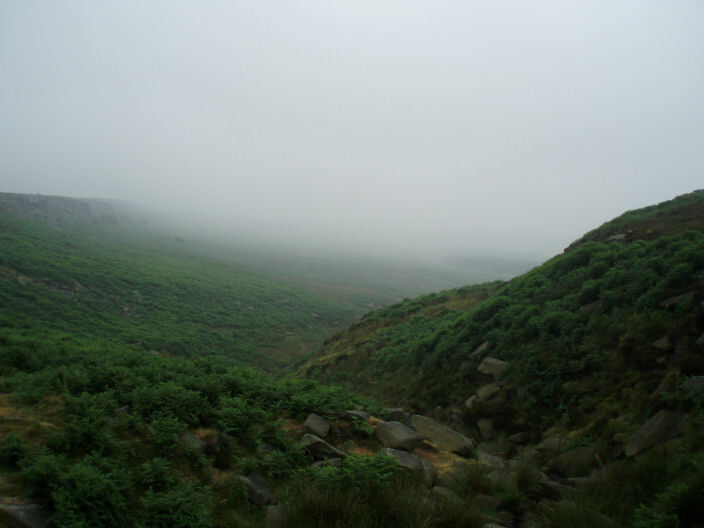 The valley now almost clear of the mist.